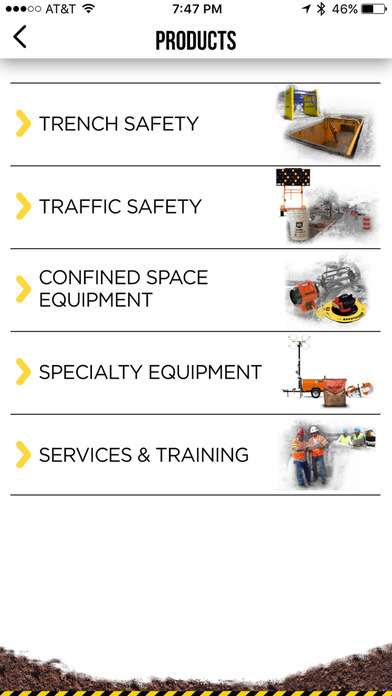 National Trench Safety, LLC (NTS), is a Houston-based company specializing in the rental and sales of trench and traffic safety equipment, trench and traffic safety engineering, and OSHA-compliant training classes. They pride themselves on having unique solutions for the most difficult, complex projects. 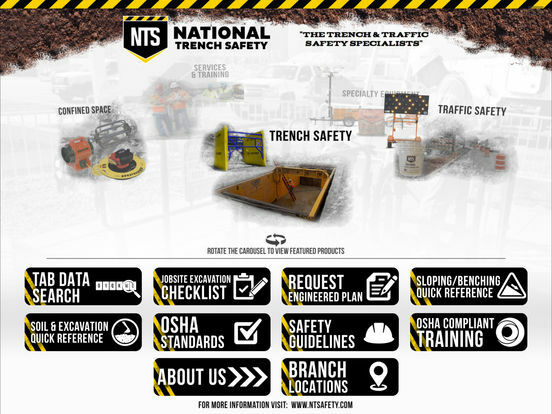 News Release: National Trench Safety announced its new NTS Mobile App for the Excavation Construction Industry. “We’re really pleased to be announcing the rollout of the new NTS Mobile App,” commented Ron Chilton, President of NTS. “We believe we have created a tool with a lot of unique functionality built into this app that will make it a must have item for contractors and their crews. This app is a total handheld resource that contractors should find highly valuable. Our app is not an advertising tool, but rather this app puts all of the specific tools a contractor needs and is required to have on any jobsite in the palm of his or her hand. 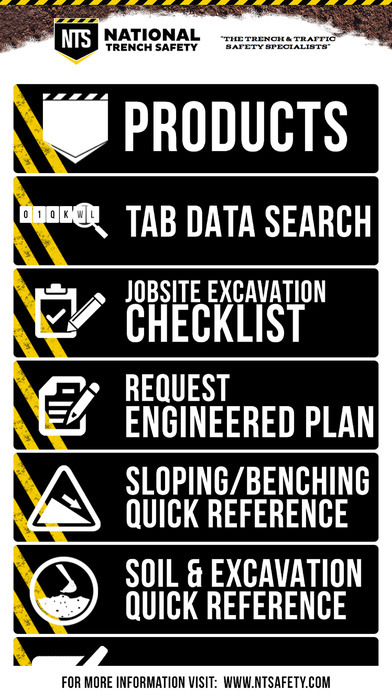 One of the features we’re most excited about is the app’s ability to allow a contractor’s Competent Person to complete an electronic excavation daily checklist, to log that checklist for future reference and the ability to print, text and or email those logs.” The NTS Mobile app will also provide real-time access to and the ability to print, text and or email manufacturer’s tabulated data, product depth ratings and weights, OSHA sloping and benching tables, and all relevant OSHA excavation, confined space and fall protection standards. The app is also available for iPhone in the iTunes App Store.